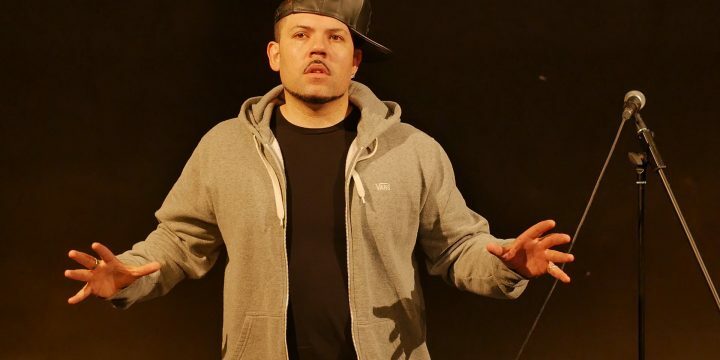 PPP and British Council are excited to announce the award of the first of three “Air B2B: Britain to Brazil” artistic residencies to Conrad Murray: actor, writer, director, rapper and beatboxer, drama teacher and founding member/facilitator for the last 9 years of the BAC Beatbox Academy. His work has been performed at Battersea Arts Centre, Southbank Centre, Royal Festival Hall, Latitude Festival, on BBC2 (Gareth Malone’s ‘The Choir’) and others. During the residency, Conrad will join nine Brazilian artists from a range of cultural organisations from Rio de Janeiro on an extraordinary trip to the Xingu Indigenous Reserve in Mato Grosso State, central Brazil, where the group will work for 15 days in the Ipatse village at the invitation of the Kuikuro Indigenous Association, AIKAX. On the artists’ return to Rio de Janeiro, Conrad will work at Casa Rio, PPPdoBrasil-run artists’ residency centre, and with community development and arts NGO Redes da Maré. There will be a public sharing of the results of the exchanges and collaborations at the end of his stay. The residency is part of a one year programme between British Council Brazil and People’s Palace Projects delivering three residencies for 3 UK based emerging artists to work in Brazil, produced by Casa Rio (PPP do Brasil’s artist residency space, Rio de Janeiro), taking place between September 2017 and April 2018. More information on the second and third residency opportunities will be released very soon. 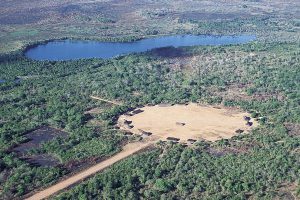 The Xingu is a National Park created in a historic agreement between the indigenous peoples of the Xingu and the Brazilian Government in 1961 to protect the lands of 16 indigenous peoples. People’s Palace Projects is currently conducting an AHRC-funded research project in partnership with AIKAX, one of the constituted community organisations representing indigenous peoples living in the Xingu, and Brazilian cultural economy centre NECCULT, to pilot an artists’ residency programme in the Ipatse Village.